Chris Scholtz previews the Winterbottom Stakes at Ascot and the Rosehill meeting in Sydney on December 1 with selections for all races. RACE 2 (13) GONGS : There are some obvious reasons why this talented Godolphin filly is a worthy value play in in this grade when you look at her Group form as a 2YO last season in races like the Silver Slipper, Reisling Stakes and Percy Sykes. In fact she has contested black type races in all six starts subsequent to her back to back wins at the start of her career and drops into this class off a more than adequate effort in G3 company over 1100m at Flemington on November 8 when she recovered well from an awkward start to be beaten only two lengths. She’s got winning form on the board over this course and distance and can certainly make her presence felt with only 52.5kg. RACE 6 (7) SPECTROSCOPE : Like the way this Godolphin import has come up in his two 1400m starts since resuming, following a close first-up third under 59kg in a blanket finish at Randwick with an luckless ninth in the G3 Chatham Stakes behind Dreamforce at Flemington when he was in early trouble and blocked for a run when needing rom in the last 200m. He’s only had the three starts at Rosehill for two wins and notably both were on affected ground, conditions that he excels in and certain to apply this weekend after the Sydney deluge. Good pace in this field will also suit his racing style. 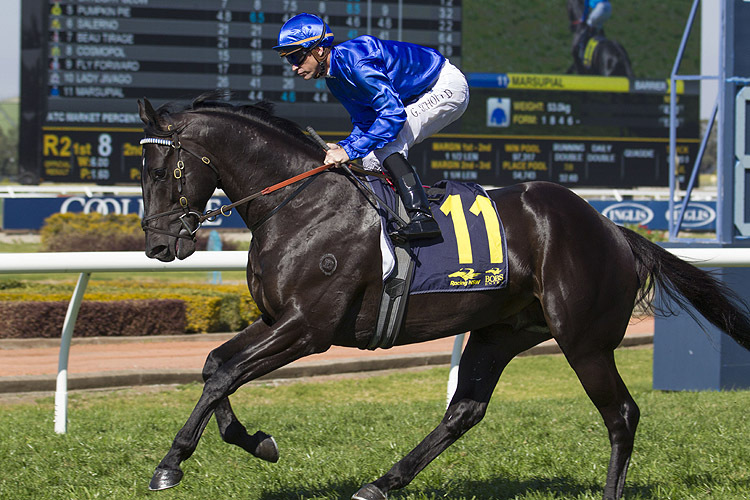 RACE 7 (8) MARSUPIAL : Yet another Godolphin runner set to take another step forward off his impressive third up win over 1100m at Randwick on November 6 when he charged late from the back half under a well-executed ride from Jason Collett. He’s been placed in three of his four starters at Rosehill, the soft ground poses no concerns and with all the speed in this field Collett can again adopt the patient tactics he excels at that will give this rising sprinter the last crack at them under the limit weight. Last-start Sandown winner Zargos will be among the fillies trying to press their claims for upcoming Adelaide features when she runs over 1600m at Caulfield.